A video popped up in my Facebook feed last week where a popular US TV show blew apart the expert-led data that a woman’s fertility rapidly declines after the age of 35. I was shocked. Have we been fed lies for years just so the medical industry can profit when the reality is that women actually have more time up their sleeves? It was time to investigate. The video in question aired last year and is from the series Adam Ruins Everything where comedian host, Adam Conover, busts myths and commonly held ideas and beliefs with the ‘real truth’. Titled ‘Adam Ruins Pregnancy,’ this particular video (see above) debunks the widely known ‘fact’ that a woman’s fertility plummets after the age of 35 and so does the quality of her eggs, with the risk of birth defects increasing after the age of 40. In the video, Adam brings in Jean M. Twenge, a professor and author of The Impatient Woman’s Guide to Getting Pregnant, who explains how after being told in her mid-thirties she would have trouble conceiving, she decided to look into the data a bit deeper. She claims that the stat concerning the age 35, comes from a super old study on French farmers’ wives in the 1600s before fertility treatments were available, and at a time when men might have been at war. Regarding congenital disabilities, she also explains that after 40, yes, the risks double but only from 0.5 percent to 1 percent – so hardly a reason to panic. Fascinating stuff right, but is it true? Considering how expensive fertility treatments can be, it does make you question what we’ve been told, especially when you think about how more women are actually having healthy babies successfully later in life. Could it be true that the fertility industry has deliberately been putting fear into women and couples for financial gain, as the video suggests? First, I decided to go to one of the leading fertility organisations in the country, IVF Australia, for their views on the ‘truths’ presented in the video. Associate Professor Peter Illingworth, Medical Director IVF Australia, didn’t waste time setting the record straight. “Simply untrue,” he said when asked if the female fertility data is based on medieval studies. He said a simple Google search would reveal plenty of other valid sources from modern research. Interestingly, he did admit that there is an exaggeration about female fertility decline. He also mentioned that the likelihood of miscarriage increases very quickly after 35, as does chromosomal abnormalities like Down syndrome. His bottom line? Digging a bit deeper, I discovered a fairly recent study which proved that 90 percent of couples conceive within two years of trying where the woman is between 35 and 39. Another report claimed the fertility rate for women over 40 has actually trebled since 1981 (a rise of 200 percent). However, the trouble with all this data is that it can be very confusing. Next, I stumbled upon a video from Infertility TV where fertility expert, Dr Morris, does his own rebuttal to Adam Ruins Everything (video here). Dr Morris explains why Adam and Jean’s data is all wrong, offering better study alternatives to give us a more realistic view of a woman’s fertility – which is that there’s no denying it gets a lot worse with age. So, is it a lie or not? 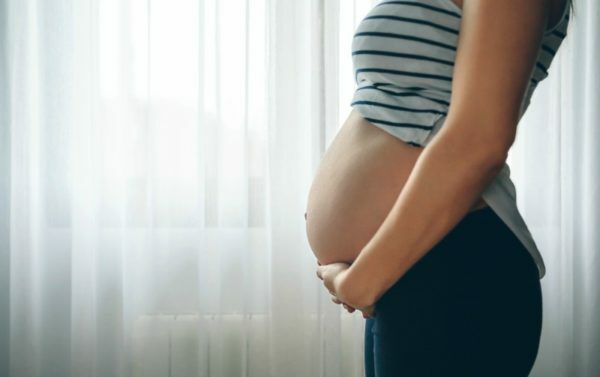 Weighing up what the experts have said, and looking at the data out there, the answer to the question: can women really can put off having babies until their late thirties or forties, is … MAYBE. Assuming you or your partner have no fertility issues, you might very well be able to have children successfully right up until you reach menopause. However, while experts may have exaggerated the risks, the fact is your fertility DOES decline the older you get (even if it’s more steady than a sudden drop). And you’re also more likely to have miscarriages, fetal abnormalities and health issues yourself. So basically, if you’re someone who likes good odds, then yes, believe the hype and start thinking about having babies sooner rather than later. If you’re a bit more relaxed though (and have no known fertility issues), then don’t stress. You possibly have more ticks left on that biological clock than you think. What are your thoughts about Adam’s video and female fertility after 35? Share your views with us on our Facebook page.